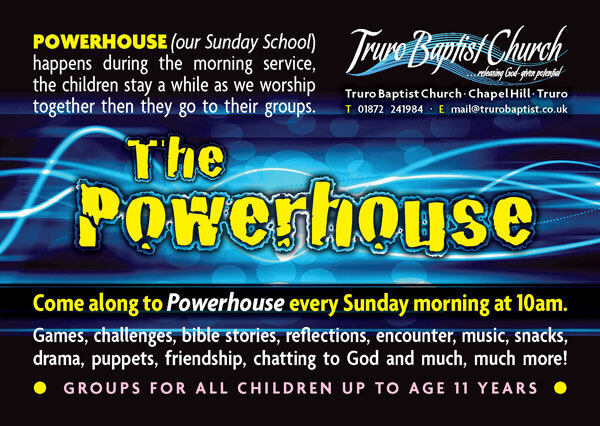 Groups for all children up to age 11 years Games, challenges, bible stories, reflections, encounter, music, snacks, drama, puppets, friendship, chatting to God and much, much, more……. During the morning service, the children stay a while as we worship together then they go to their age related groups. Come along to join in the fun and make new friends! Written by our Powerhouse children for a baptism service!! We sing songs and there’s ping pong! The church is many parts but one big heart. It’s always a busy evening for all the family and ends with a wonderful fireworks display!! Launchpad is our Fun Family event! Holiday Club 2018 went under the sea!! Primary school children were invited along to TBC for a week full of fun and activity whilst hearing the amazing stories from the Sea of Galilee. Starfish Shelley and Ha-Ray uncovered from the seabed a secret journal from thousands of year ago and took us on amazing adventure, making astonishing discoveries. The week was full of Very messy games, Crafts & Creations, Music, Team Challenges, Stories, Challenges, Puppets, Quizzes, Fun Sheets, Making new Friends and lots more……..
One leader got voted for the BIG STINKY SEA SLOP….. yucky! THANK YOU to every family who came along and to the huge number of people that helped to make it such an amazing week!! !